A world away from today’s hurried and commercialized world, Alleghany County’s charming countryside and refreshing change of pace are a welcome getaway. Here, you can enjoy the simpler life–rocking chair front porches, breathtaking Blue Ridge Mountain vistas and crisp mountain air filled with the scent of Fraser Firs. Nestled in the Blue Ridge Mountains of Western North Carolina where cool temperatures and higher altitudes offer the perfect environment for cultivating Christmas trees. These outstanding Fraser Firs have been chosen time and again to grace America’s notable residences, including the White House. A short drive from Charlotte, the Triad and southern Virginia, the scenic route takes you back to simpler times of yesteryear, making your journey for a tree a truly memorable family tradition. Bottomley Evergreen Farms in 1990 and it grew into a sprawling operation with fields in northwest North Carolina and southwest Virginia as well as Nevada and Oregon. He was also one of North Carolina’s largest producers of pumpkins. In 2013, a Raleigh News and Observer article said the farm shipped 1.2 million pumpkins. 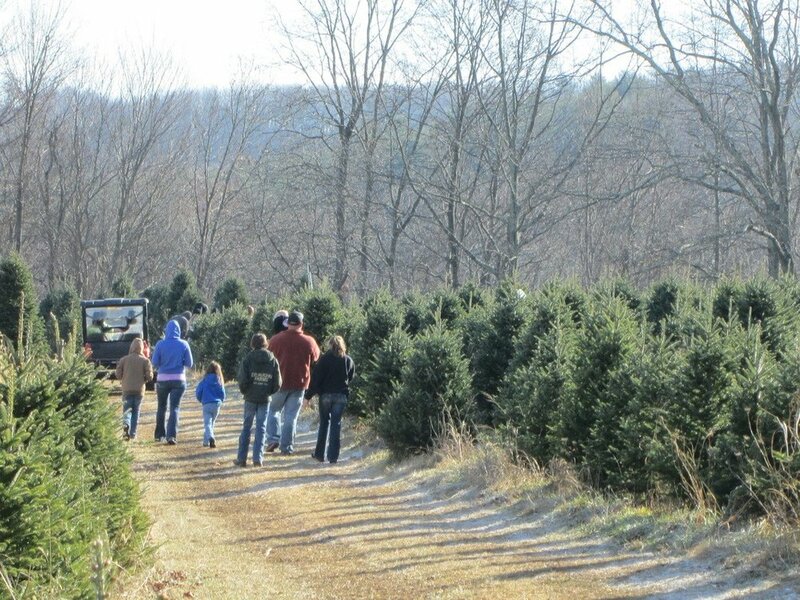 Blue Ridge Christmas Trees, located in Sparta, NC, was born from our love of fresh-cut, direct-from-the-farm Christmas trees and our desire to share them with the whole country. Our mountain climate, coupled with our fertile soil, provides the perfect growing grounds for premium-grade Fraser Fir trees, the “Cadillac of Christmas trees.” Our mail-order & online store bring the freshest possible Fraser Fir’s and handmade holiday decorations to your door at an affordable price. Once you experience the ease and affordability of purchasing one of our stunning, healthy trees online, you’ll never want to go back! Be sure of getting the perfect tree by visiting our community and choosing your tree from the many beautiful trees growing on our farm. Our staff will then cut the tree you have selected and load it onto your vehicle free of charge. Come out and enjoy the beauty of the Blue Ridge Mountains, then warm yourself by the wood stove and enjoy free refreshments in our cabin while your tree is being loaded! We also offer wreaths, roping, and decorations at the cabin. Trees and other products can be purchased from our website and shipped to your door by clicking shop online above and choosing products. Pricing starts at $70.00 for a 3-4 foot tree. Choose the height desired from the drop down menu for accurate pricing for the desired height of your tree. The expertise exuded by Kathy Shore Nursery is the product of over half a century of experience in the Christmas tree industry. For three generations, Kathy and her family have been cultivating the area’s finest trees. Beginning in 1951 in Forsyth County, Homer and Bonnie Sides chose to move their Christmas tree operation to the Blue Ridge Mountains in the 1980s, where conditions couldn't be more perfect for growing Fraser Fir Christmas Trees. After many years of retail Christmas tree sales, Homer and Bonnie shifted their operation to a strictly wholesale business. Laurel Springs Boxwoods----Grown in the Blue Ridge Boxwood, "Man's Oldest Garden Ornament," was introduced to North America from Europe in the mid 1600's. To this day, they have remained the most popular varieties used by American gardeners. Laurel Springs is a North Carolina Nursery featuring Boxwood Shrubs for Sale and a selection of Wholesale Topiary. As Boxwood Growers and Wholesale Topiary Growers, we take pride in the quality of our plants. We have approximately 58,000 various sizes under cultivation. For more information, please contact us at 800-851-2345 or 336-372-4193, email us, or use our online request form. Lil' Grandfather Mountain is a full service choose and cut Christmas tree farm. We offer premium Fraser fir, Concolor fir, White Pine and Blue Spruce Christmas trees. As well as wreaths, roping, baskets, and specialty wreaths. Bring your family and friends and spend the day enjoying Lil' Grandfather Mountain Christmas Tree Farm’s free horse rides, hay rides, hay bale movie theater, heated restroom, Santa Claus and Santa's workshop, handmade local crafts, and concessions. 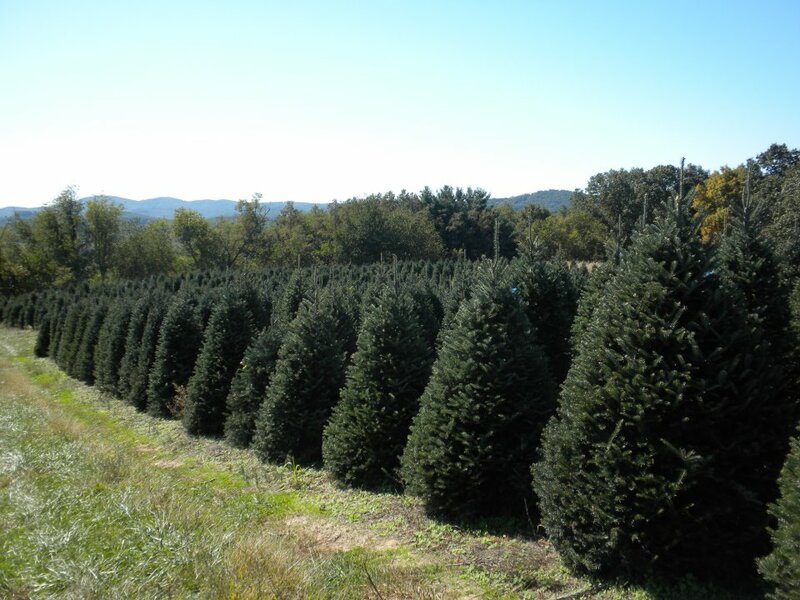 Maines Choose and Cut Tree Farm, a family operation, was established in 1989 in nature’s perfect environment for Fraser Firs- the scenic Blue Ridge Mountains of Alleghany County, NC. We are a dedicated Choose & Cut Operation, meaning that "you" are our primary customer. Owners, Bobby & Judy Maines, are available to assist you in choosing the right tree and accessories. With a variety of sizes, we're sure you'll find the perfect tree to create a memorable Christmas. Come see us today! Accessories available: Roping, Wreaths Mixed & Fraser Fir, Tree Stands, Bows, and Crafts. Refreshments and Restrooms are available. Alfred and Dawn Motsinger Roaring Gap, North Carolina Our family has been growing and selling choose and cut Christmas Trees at Pine Shadows Farm since 1972. Living full-time on the property, we personally tend to every aspect of tree planting and continued care throughout the life of our trees. Where is Roaring Gap? We are very near the Blue Ridge Parkway (only 3 miles) and close to nearby cities of Winston-Salem, Charlotte, Statesville, and Greensboro. Motsinger's is the first choose and cut Christmas tree farm you come to after reaching the top of the mountain. Choose & Cut tree farm, We have fraser furs and white pine christmas trees, Ranging from table tops to 12 foot.Fresh wreaths and roping.Also hay rides to filds behind tractor. General Store has every thing your heart could desire while on the farm. We have hot dogs, snacks, local honey, christmas gifts, marsh mellow fire rost and much, much more. 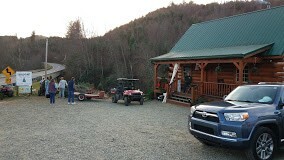 Rental cabin surrounded by christmas trees and wild animals.will sleep up to four people comfortably. Call for further details and pricing. We are the seventh generation of our family to farm in the New River Valley of Alleghany County, NC. At our family farm we grow only Fraser Fir Christmas Trees. By keeping the farming operation small, we believe we can grow better trees and provide our customers with an easily marketable product. We are current members of the North Carolina Christmas Tree Growers Association, the Alleghany County Christmas Tree Growers Association, and the Mount Rogers Area Tree Growers Association. Please stop by our farm photo gallery for images of day-to-day happenings around the farm. River Hill Tree Farm was established in 2002, offering Choose and Cut since 2009. RHTF is a family owned and operated business, started by Tim and Sandy Stamper. Our busiest time of the year is the month and a half leading up to Christmas and during that time we bring in many extended family members and friends to help out. The joy they bring to the job translates into a great experience for you and your family. So, from our family to yours, we can't wait to serve you and hope to see you soon! We are looking forward to seeing you again as you begin thinking about getting that perfect Christmas tree and fresh wreath. Join our email list! We will be open for business on Saturday, November 25th at 10:00am,. 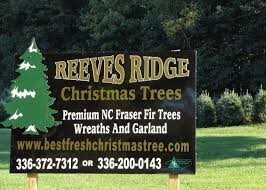 9630 Jefferson Davis Highway Fredericksburg, Virginia, 22407 We offer fresh NC grown Fraser Fir Christmas Trees! Fraser Fir - This beautiful soft needle fir is truly one of a kind, with its excellent needle retention, and wonderful fragrance. Fresh Cut North Carolina Grown Christmas Trees, Wreaths, and more!! Tree Stands available, too!! Come out and see us! Wishon Evergreens, a family business, began in 1985. As a first generation farmer, we have grown to over 400 acres of Christmas trees and 200 acres of pumpkins by focusing on quality products and customer service. We take pride in delivering a fresh, quality product to you on time. Our business is all about building long-lasting relationships with our wholesale customers, some of whom have been with us for over 20 years. Whether looking for Christmas trees, wreaths, garlands, B&B evergreens, or fall pumpkin products, we invite you to become part of the Wishon family.